A few weeks ago, we joined the global open access community in celebrating that Diego Gomez had finally been cleared of criminal charges for sharing scientific research over the Internet without permission. Unfortunately, the fight is not over yet. The ruling has been appealed to the Tribunal de Bogota, a Colombian appellate court. 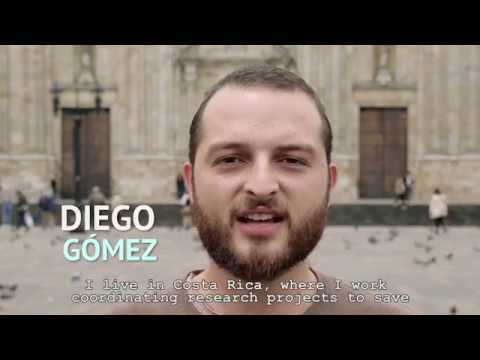 Diego’s story demonstrates the urgency of open access. Since Diego was first brought to trial, thousands of people all around the globe have signed a petition demanding that open access publishing becomes the default for academic research worldwide. No one should have to risk going to prison simply for sharing research. This case also demonstrates the dangers of severe criminal penalties for copyright infringement. In this case, the penalties in question were specifically enacted as part of a trade agreement with the United States. Sadly, U.S. efforts to export its copyright rules can also mean exporting chilling effects on freedom of expression and intellectual freedom. The Karisma Foundation, a Colombian NGO that has been coordinating Diego’s legal defense, has now launched a campaign to raise money for this expensive next step of Diego’s defense. “The decision of the judge is an important step that guides Colombian criminal justice towards international standards where this measure is reserved only for piracy. This case must spark a serious debate over the necessity of Open Access. We celebrate that justice was made in an absurd case that could have set a bad precedent for access to knowledge in Colombia,” said Carolina Botero, director of Fundación Karisma, about Diego’s acquittal. Since 2014, the Fundación Karisma has provided advice to Diego and, along with several allied organizations, launches a crowdfunding campaign in order to help him in this new stage of the process. The goal is to raise USD $40,000 during 4 weeks of campaigning. With this money, Karisma expects to cover the financial costs related to the appeal process on behalf of Diego and to seek legal ways to prevent cases like Diego’s from happen again. Likewise, the production of a case study, whose aim is to tell the story of Diego, and show the need for Open Access to knowledge will be covered. Finally, we expect to cover Diego’s accommodation and transportation when needed, so that he can take part in the appeal process and a case study production. He currently works at a natural reserve in Costa Rica so traveling is expensive. EFF is proud to stand with Karisma and Diego.